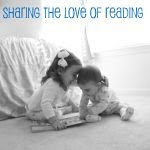 I do read some of the blogs in the kidlitosphere and this week they have been discussing how very few families read aloud to their children. There have been discussions about how they can raise awareness of the importance of reading aloud. Because I have worked with adults for the past few years who have minimal reading skills, I think I come at this from a different angle. Until I was confronted with the reality that some people really struggle to read, I always thought of reading as a preference. I like to read, or I don't like to read. Sort of like, I like brussel sprouts or I don't like brussel sprouts! It's not really like that, though. Preference plays a very small role..ability plays a huge one. The program I've been working in for the last three years takes a very different approach to reading. And while it's made huge differences in the lives of people everywhere, it's not exactly mainstream or accepted yet. If you want to know more about it, please email me privately. Anyway, while I could go off on a complete tangent about that, I would rather focus on the role this plays in reading aloud. First, I think we need to look at what the goals of reading aloud are. 1) Literacy. By reading aloud to our kids, we hope that they will develop the desire to read for themselves. They see what adventures can be found in books, what knowledge, entertainment, and connection. By reading aloud to them on a regular basis, we hope they see that reading is a natural and important part of life. In fact, I think before they can read for themselves, kids like books. I've never met a pre-reader (I'm sure there's a technical name for that) that didn't like books. It's when they get to the reading for themselves stage that it gets more difficult. 2) Education. We often use books to communicate life values and truth. By reading aloud, we can pass this information on to our children often wrapped in the beauty of story. 3) Family Time Reading aloud to our children is a special time of bonding as we share the delights of story with them. 4) Modeling Not only are we modeling a life of reading, we are modeling good reading. This is so completely essential to the point I'm going to make. In order for kids to understand what reading for themselves is like, they need to hear smooth effortless reading for themselves, so they can conceptualize what reading is like. So, enter the parent who struggles to read themselves. Even picking up a children's book, geared to the very earliest readers is a struggle for them. They go about their lives doing everything they can not to have to read. Do you think that by sharing President Obama's love of reading with his daughters or telling them that it's important to read their kids is really and truly going to change anything? Furthermore, say they do decide to read their kids. What they will be modeling to their children is that reading is a chore. And that's the last message we want to send. And this is where I think that avid book readers and the delightful book blogging community can jump in. Why should the kidlit bloggers have all the fun? I think part of the solution is for us to get out of our comfort zones and find ways to get involved in programs that will give us the opportunity to read aloud to children. This is something I've personally wanted to do for a long time. While it has been fantastic to help adults improve their reading, part of me itches to do preventative work! The problem for me is that I work 8-5. Most school programs are concluded by the time I'm able to do anything. If anyone has any ideas on this, please let me know! So, what I'd like for us to do (if anyone is willing) is brainstorm together how we can get involved in our communities and do volunteer reading. And I'd like to challenge all of you who love to read yourselves to think of how you can donate a couple of hours a week to this very worthy goal. If enough people express interest, we could possibly turn this into a campaign. Maybe set up a separate blog where we can share our experiences and point out programs other people can get involved in. This is an issue I don't think we can ignore any longer. Our culture of literacy depends on our active participation and support. Is anyone in? I buy books all the time for my nephews, nieces and other children. You are so right - people who struggle with their reading just can't read to their kids. Does your library or bookstore have a story hour? I've been encouraging a sweet young neighbor to read by giving him books and letting him guest post on my blog. (He was very excited about this, especially when people left him comments!) We also discuss the books after we've both read them. I think you are so right! It's important to show children how great reading is. I've read for my daughter's class before. The kids and the teacher enjoy it. You can volunteer to read at your local library. There was a girl there who spent her free time reading to the children and their families even if there wasn't a storytime. I also give money to charities that put books in the hands of kids who otherwise wouldn't have them. Great post Amy! Everything you wrote is RIGHT ON! I struggle with this on a daily basis. Do you think it would help if people who can't go into schools could read and record books on tapes for listening centers? Senior citizens came in and read to and mentored kids in University City, MO schools and the children loved it. I hope people consider this for their communities. Great Post Amy. We read aloud everyday and there are many many home schoolers out there who make it a habit. I'd like to see more of the indie bookstores having a reading literacy week or a story hour (if they don't already) I'll continue to brainstorm and come up with ideas. There's a book on this subject that is supposed to be fantastic. I have a copy but haven't read it yet, but my mom loves it, and she's got a masters in reading/literacy. She also read to me literally from the day I was born. Anyway, the book is "Reading Magic: Why Reading Aloud to Our Children Will Change Their Lives Forever," by Mem Fox. Oh my gosh, one of the things I'm looking most forward to about having kids is reading aloud to them and sharing my love of books! Like many others, the library was my first thought. Weekday story time might not be feasible for those of us who work full time, but I'm sure there are plenty of libraries with evening and weekend programs. After all, many parents are also unable to take their children to the library during the day because of their own work commitments. I wonder if after school programs or church groups might also have similar read-aloud initiatives? Fantastic post, Amy. I love your idea. I should see if there's anything I can do in my own part of the world. Unfortunately we're still near the end of the scale when it comes to literacy rates in Europe. I used to attend Story Hour at the local library when I was growing up. I work during the week, but reading to children at the local library on week-ends would be great. We also read to the children in the nursery on Sundays during church. To echo a few others - the library was the first thing that popped into my mind. My library has evening and Sat programs. One program matches up volunteers with kids who have reading difficulties.One program is an English as a second language book club. ( one for kids, one for adults) In the summer there are book buddies - teens reading to younger kids. I always volunteered at my children's schools for reading help as well. Our schools have therapy dogs that kids who have problems reading can read to. These dogs listen and don't laugh like some classmates might. It encourages kids to read and gives them a safe place to practice. It's amazing to watch these kids esteem grow! I'm running a mini-challenge (in November) for Dewey's Books. I told Chris that this would be the theme of the mini-challenge; at the time I thought of schools, libraries, churches, hospitals, etc. To me reading is an experience. I love to curl up on the sofa with a good book (along with a cup of coffee and while wearing my favorite pajamas). I love browsing through a bookstore, thumbing pages, reading the back cover copy and looking at the cover art, trying to find that undiscovered gem. I love talking about books, what challenges the characters are facing and how they may or may not resolve them. These are the things that I've tried to share with my children. I heard my 12 year old daughter tell someone today that she loves the way the bookstore smells! I think she's got it...but some kids don't have a parent who will teach them the joys of reading. I think that's where we come in. Reading aloud is a part--an important part--but the modeling of a reader's life that Amy talked about is equally important. My suggestion would be to take somebody's kids to the bookstore, read aloud from the book in the store, talk about it all the way home, brainstorming about what might happen to the characters in the book and then have a reading afternoon, complete with goodies. When reading is associated with good memories and fun, we raise lifelong readers...or at least that's my theory. Thank you for sharing your thoughts on this important topic! I've shared my thoughts on my blog as well and I've created a link to your blog to read your perspective. Feel free to check it out when you get the chance! I just wanted to write as Karen Harrington sent me your blog. First of all, reading aloud is important. If we want to become a nation that are readers we have to get reading aloud back in schools. My teachers read to me everyday after lunch for a half hour to an hour. They showed me that reading aloud and the power of the story was something I wanted to invest in and did I big time. But I also agree just reading aloud to our children and even others isn't quite enough. Please check out the Dolly Parton Imagination Library not-for-profit at www.imaginationlibrary.com. This program promotes reading readiness for pre-schoolers as books are provided from birth until they start school. Living in a county that is the second poorest in the state of Texas and has a 39% rate of illiteracy is extremely embarrassing for me as I have started in this county the largest "meeting and discussing" book club in the world, The Pulpwood Queens. I have wracked my brain for years on how to diminish this rate of illiteracy then discovered that maybe alone I can't. That's when I discovered that maybe we need to start from scratch with the children in my county. My feeling on this is if books are sent to homes of families from birth to kindergarten maybe parents who can't read will also pick up on the basic concepts as these at first wordless books are sent to their homes. I'm working on the adult part too but I had to start somewhere and Dolly Parton has become a champion in the state of Tennessee for addressing illiteracy. So glad to meet you through your wonderful blog and getting the conversation started is what helps. People learn through actions not necessarily words. I read to my girls and I am sure they will read to their children. The experiences we have had in those reading times are my now 19 and almost 15 year olds favorite memories. So onward and upward and it all begins with one letter, one word, one sentence, one paragraph, one chapter, one book, and one person at a time. Founder of the Pulpwood Queens Book Clubs and author of "The Pulpwood Queens' Tiara Wearing, Book Sharing Guide to Life"
This is great feedback and action, Amy! I think you raise a very important point about not making people feel badly about this, but still taking action to improve the situation. I'll be continuing to follow this discussion, while tracking/responding to others from within the KidLit blogging community, too. I LOVE seeing so many comments on this. I've heard audio books encouraged as a means for non-english speaking parents to "read" with their children. You can check them out free at the library!